Enabling leaders to access the motivation they need to accelerate their performance, re-engage teams, and fuel project-specific and company-wide success. Deborah’s coaching holds me accountable to working 'on my business', materially increasing my productivity. She is on point, organized (always! ), energetic, focused, and smart, with business acumen that I have learned to depend on. She pitches at just the right pace and speed, and has become instrumental to our success. Because of the speed of change, it is impossible to lead a growing organization if you are not continuing to develop as a leader. Effective coaching is always a challenging mix of unveiling opportunities for growth; practicing new competencies and behaviors; and applying practical decision making and problem solving techniques. When a leader experiences complexity or high stress, it is vital to take stock and objectively re-assess present and future priorities – from the lenses of what your business needs from you. We drive an efficient and pragmatic process: our focus is on collaborating with you to build your ‘next act’ as a stronger, healthier leader capable of even more effective decisions and much higher performance. Together we will explore new ways of addressing your business and organization priorities and develop your personal toolkit of essential operational and strategic leadership practices. 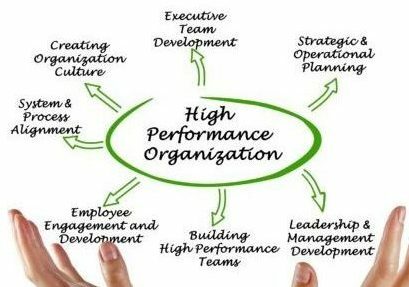 Leadership alignment creates focus and energy in an organization, driving higher productivity and motivation among all players. When leaders lose focus – emotions surface and trust breaks down. Our highly personal approach enables two leaders to map out priorities and moves more effectively, with less overlap: captivating customers, outwitting the competition, managing margin pressures and increasing long-term shareholder value. We work alongside you to rebuild essential trust and relationship, develop more candor in communications, and more effective decision making frameworks. LEADING A 'GROUP OF BUSINESSES'? When a leader has an exciting opportunity to move from managing a single business to managing a group, this pivot may require new skills and better clarity on how to shift your role – to manage more complex decision making. We have the knowledge and expertise to engage you and your team in developing strategic leadership behaviors and skills – driving sustainable competitive advantage and stronger enterprise value. I WOULD LIKE a ONE-hour free consultation.